Home / chile / Nicolás Castillo is not sent to tell anyone: "Thanks to my departure, they could make a very good team"
Nicolás Castillo is not sent to tell anyone: "Thanks to my departure, they could make a very good team"
The classic between America and Pumas is coming, a spicy match that has Nicolás Castillo as the center of attention. In the previous match, the Chilean referred to Iram's fans against him. 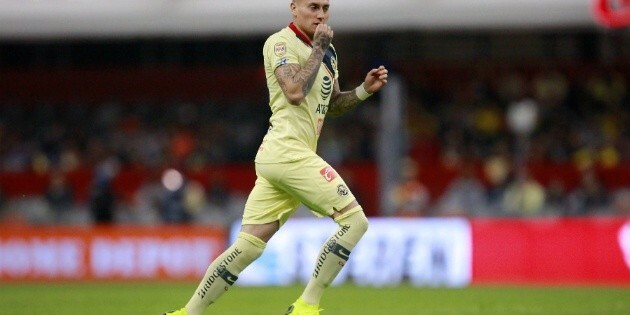 "I said that if I wanted to go back (to Pumas) it was only if they wanted me, today they have a very good squad and I am also very happy that thanks to my departure they could make a very good group and that is what people do not see"admitted the attacker to TV Azteca." The striker tried to put on cold pillows and repeated that "when I made the decision to come here, I clearly put Pumas in balance." It was a year and a half I lived here in good and bad times, I always left everything, I gave everything for the club and for my teammates I am professional and I have always said: I am just a team fans in Chile. " All eyes will be in Chilean forward this Sunday at 15:00 (by Chile) in the match that will be played at UNUM's Pumas Stadium.